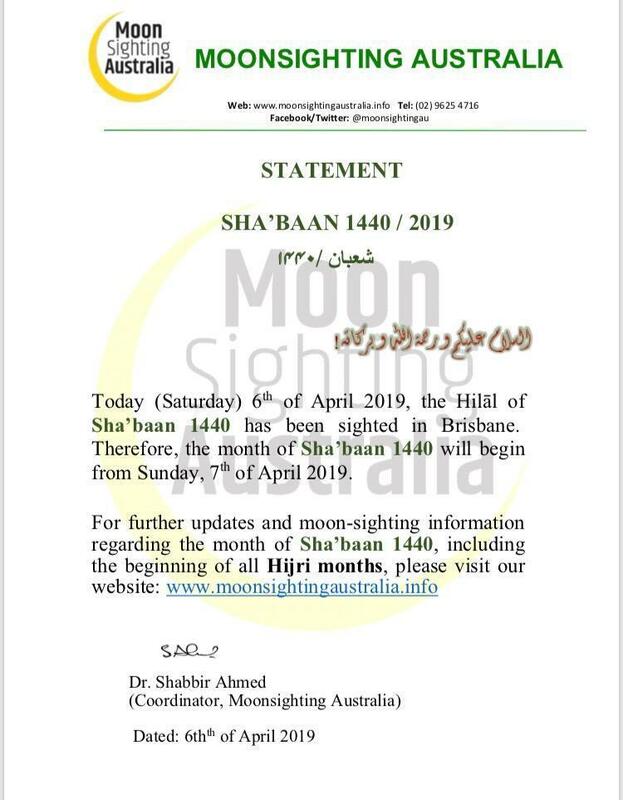 Moonsighting Australia is the most authentic source of moonsighting news and backed by over 100 Imams, many Mosques and Islamic Centres across Australia. This entry was posted in Moonsighting, Shaban. Bookmark the permalink.